I should have known that I couldn’t have my cake and eat it. I’ve always been obsessed with platinum hair in its multitude of forms – Debbie Harry, Brigitte Bardot, Daenerys Targaryen, all powerful women with pale hair. 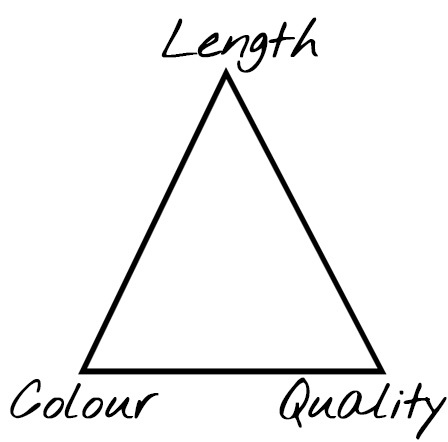 However, it turns out that for us mere mortals, you can only have a maximum of two of points of the following triangle. Years ago, my hair started off with length and quality, but is naturally a mousey colour. 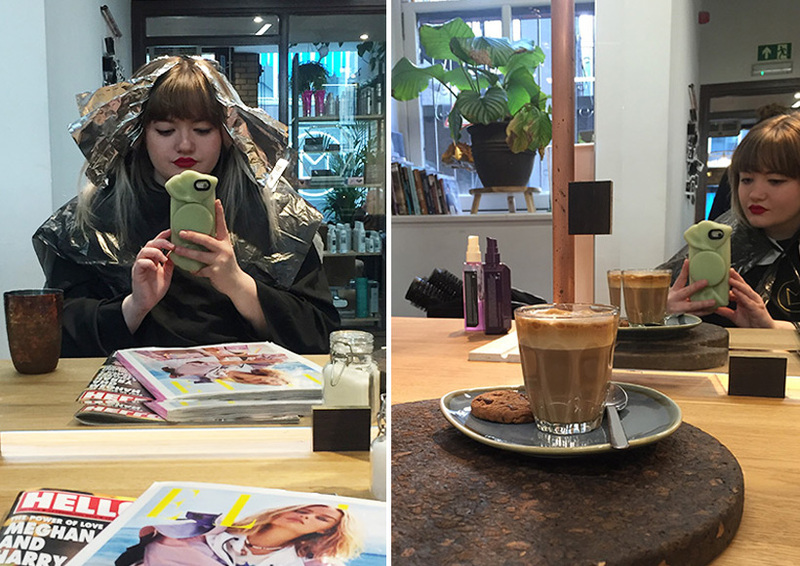 So I decided on a full head bleach – but no matter how hard I tried, I couldn’t stay on top of the quality. So I vowed to stop bleaching and give my hair a break, growing out my roots. But it was too little too late, and a second point on my triangle started to fall off. Little by little, I noticed pieces of my long hair disappearing. This, quite frankly terrified me. I had a sudden vision of waking up one morning to find half of my hair left on my pillow, looking in the mirror and realising I was left with mousey brown stumps. It was time to speak to a professional. Linton and Mac in Aberdeen has always held a special place in my heart; it’s nice to see a salon in my hometown doing well. 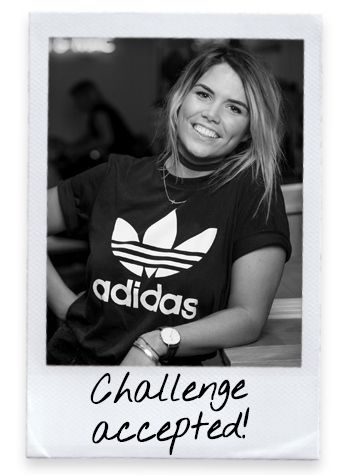 And boy, are they doing well – colourist Sarah Black won the prestigious UK L’Oréal Colour Trophy competition, a huge competition for the best hairdressers, then went on to place third in the world. Not bad for a salon in the North East of Scotland! 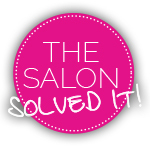 So, on a recent trip up home I booked myself in to the salon with co-owner Joanna MacDonald. To make the most of a flying visit to Scotland, I opted for an early slot at 8.30am, and expected the salon to be just waking up. Instead I opened the doors to find a bustling salon full of people getting their hair, makeup and nails done; I guess this is what “morning people” look like. I settled myself into a chair and was immediately handed a menu of different coffees, which was very much needed at a time that felt like the middle of the night to me. No Nescaff here – it was all soya milk flat whites and tiny cookies. Then it was time to talk to Joanna about my hair, and admit that I’d chased an unachievable dream, and sacrificed my hair in the process. Although she seemed slightly taken aback about just how much hair had broken off – “Did you have an undercut?” “Eh, no, it just sort of fell off?” – Joanna assured me that we could make it work. 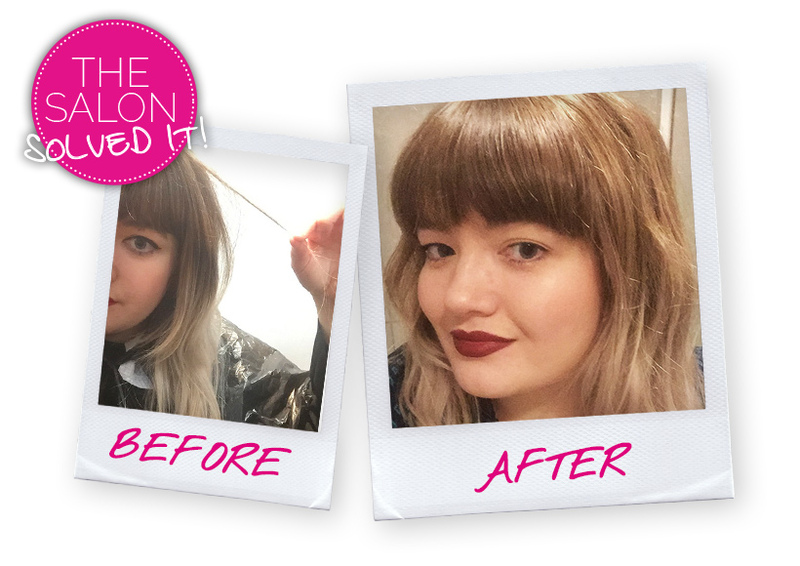 First it was time for a colour refresh, so Joanna smudged my colour to make it less blocky. With plenty of toner, she cooled it right down, without touching my natural roots (I pretend it’s a Kurt Cobain inspired choice, but really I am lazy. So lazy. Read my guides to roots for lazy girls here). 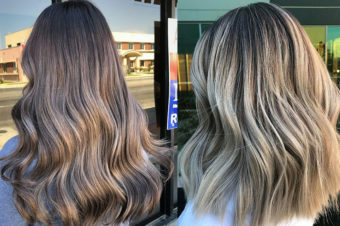 She also smothered it in Smartbond, the clever additive that hairdressers can add to your colour, which limits the damage done during the process. And then it was time for the cut. 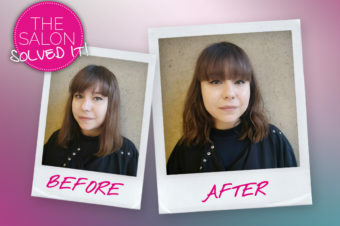 I’m wary of getting too much cut off at a time (although my last cut with Verity at Tint in Leeds did help me on the way to conquering my fear), but things had got pretty ragged since then, so we decided to take a couple of inches off. Instantly I could tell my hair looked thicker thanks to the blunt cut, and much, much healthier. The broken pieces around my face hadn’t miraculously grown back (Joanna is a genius but she’s not actually magical), but she had shaped them in a way that has made me stop hating them. When I put my hair up, they’re actually a feature – little tendrils that frame my face. This was a highly personalised cut, taking into account the problems I had with my hair, and changing them into positives. I haven’t taken a picture of how my hair looked immediately after the cut, for two reasons. 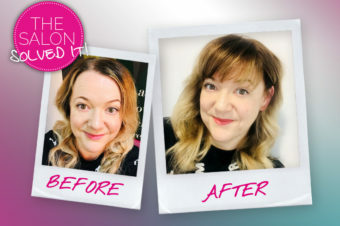 Firstly, Joanna and I had got chatting about the L’Oréal Steampod, which we then got out to have a play with, and ended up testing to see just how straight we could make my hair using steam power – answer: incredibly so. Secondly, it’s all very well if your hair looks fabulous when you leave the salon, but I’ve always felt that the mark of a good haircut is how it looks when you’ve done it yourself. 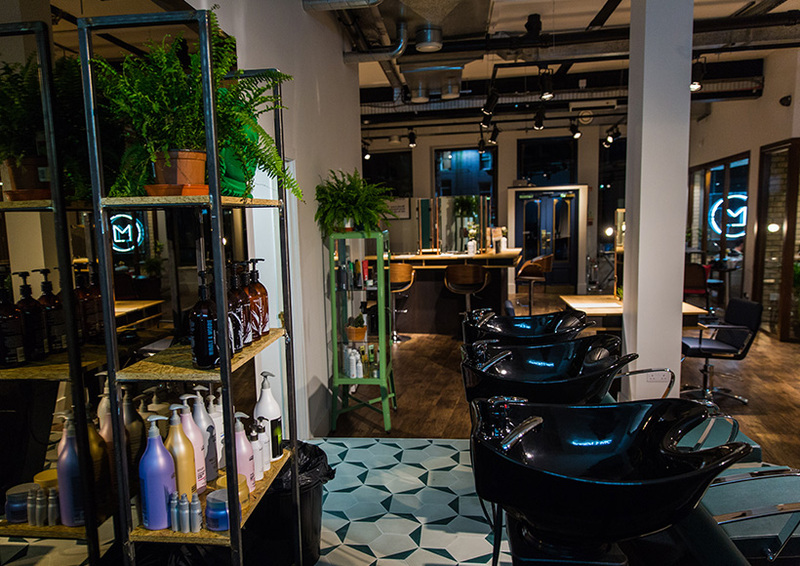 So, here’s how it looked a week after, with minimal styling.